Welcome to Meet the Teacher – CodeMonkey’s blog segment where teachers from all over the world share their experiences on what it’s like being an educator. 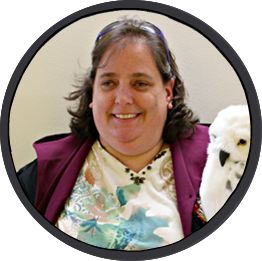 Today’s post features Tammy Cummings who is a K-12th Grade Library Media Specialist at the Center for Instruction Technology & Innovation in Mexico, NY. “Seeing my own children engage in the classroom made me decide to become a teacher. I walked in one day when my daughter was in school just to help out the class for a bit. I really didn’t think much about it until I realized it felt right. I was enjoying myself and I felt at home in the classroom. This began my journey to become a School Library Media Specialist. I went back to school full time for education and worked full time in my children’s school. It was a lot of work but the more I learned, the better I was at my job. I earned my Bachelor’s degree and had the opportunity to attend Graduate school to become a School Librarian. It has been a long and tough road but I made it through and those experiences I share with students and show them that they can achieve their goals too, even when their goals change. I’ve been a Library Media Specialist for 3 years now and I enjoy it more and more. I get to work with students and teachers each and every day. It is not all fun and games but I try to make each and every day as enjoyable as possible. I want to make each day a memorable moment. I think I am pretty connected as an educator. As a Library Media Specialist it is expected that I be connected. I don’t belong to all the Social Media but I join resources as they become relevant to me personally and for my position. I write a blog when I have information to share with everyone in my school. It’s great to see how many people quickly read what I post and I not only reach the other educators in my school but parents and other School Librarians as well. I do have a Facebook account and I help to manage our department’s page. I love to share the PBL digital projects on there. I also belong to The School Librarian’s Workshop on Facebook. This group is a great group of School Librarians. It is a great place to post questions and to chat back and forth about relevant topics. I have my likes and dislikes when it comes to social media but that doesn’t stop me from sharing those resources with others. I’m not a big fan of Pinterest but I have created my own boards and helped others with theirs I still wince when someone tells me to look at a Pinterest board but I get inspired by them too. I do enjoy the connection that I feel when I go on social media, and that is what it is all about, making connections. Working with students has kept my perspective of the world fresh. My students are a joy and a challenge but they keep me looking at the world with new eyes. I see things that I might have overlooked if not for them. They challenge me and I challenge them right back. We use PBL (Project Based Learning) and it never ceases to amaze me at the ideas and information that students find and share with me. You would think that an educator would know the answers to anything they ask a student to research, but I find it much more interesting to find out the answers together. It’s important to me that my students have opportunities to explore and learn about things that are relevant to their own lives. There are so many topics that students must learn about but a big part of the school library is to teach students how to find/learn about things that they want or are important to them. It’s also import to me that my students know that the library is a safe place to come and ask questions and get guidance on how to find answers.